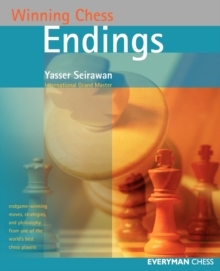 Winning Chess Endings teaches endgame strategies in an exciting new way--by putting the player in the middle of the action with firsthand stories taken directly from famous matches. Pull up a chair and watch the world's most exciting chess endings. Then become an endgame master! Winning Chess Endings explains how to: *Relentlessly find checkmates, from easy to hard, in all basic endgame patterns *Master the intricacies of King and Pawn Endings *Win consistently in the most common endgame--the Rook ending *Master the pros and cons of Bishop vs.